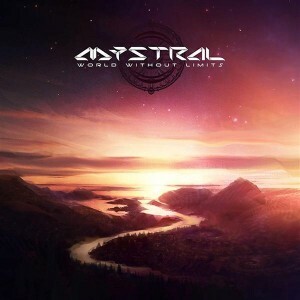 Hailing from the west coast of the United States, Mystral reveals a unique and intelligent approach to bass music here on World Without Limits, his second release. Taking the listener on a journey through sci-fi soundscapes and psychedelic realms, always with a warming and present sub-bass foundation, this release on Merkaba Music stands as a vision of his ever-evolving, sleek, and sophisticated sound. Artwork by Francis McKeon. MP3 Download | FLAC Download | WAV Download · Download count: 9,918. Very .. VERY Nice Bass Music !! no new music no upgrade????????????????????????????? Hmmm… looks like nothing has happened here in awhile. I’ve seen this before, with no album for nearly two months, so…. Hey! I tried downloading the zip file mp3s and they didn’t load when I tried to open them. I’m downloading on an Acer, but usually zip files download no problem. Is there something I’m missing? In short, a confluence of different problems have made it so I haven’t been able to process new releases for a month. I’m looking forward to playing catch-up as soon as I get all these issues resolved. I expect to be posting new stuff in late June… and probably doing two or three a day to catch up. Oh, and at some point I will delete this message as well as others on this release that aren’t actual comments or reviews about the music. Great Sounds! Even the right Portion of Bass….not toless, not to much…even right. Awesome!